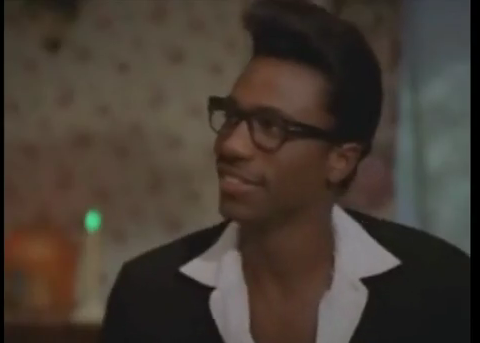 In January, an email with the subject line “Leon Bridges” appeared at the top of my inbox. The corresponding message, in the body of the email: “Are you up on him?” I knew the sender of the email was in the music industry, so he had to be talking about an artist, but all I could think about was an offensive lineman. “Leon Bridges” sounds like a man who protects the quarterback. Professionally. I responded immediately, and for some reason didn’t do the thing where I lie and say “yes” while looking up the actual answer. I relinquished all my next big thing knowledge and told him to tell me more, because I had no idea. All it took was one YouTube video to convince me that I needed to see him live. One month later, Bridges played his first big New York show in a room filled with skeptical music industry types on hand to listen to songs with which they were largely unfamiliar. It was less than ideal, but if you can do anything remarkable in that setting, you might actually have something. I was expecting five songs. Bridges played for 40 minutes. He had material on material, and over the course of the show, the crowd got better, because Bridges was getting better. There were nerves there in the beginning, but by the end he was like Lauryn Hill in Sister Act 2 when her character’s mom shows up. He had the juice. Watching him in the crowd after the show, Bridges was humble and courteous to the people who approached him or asked for a picture. I could see him soaking up the moment. It was a reminder of how unique it is to watch someone’s fame grow incrementally — and of the many levels there are to climb, the challenges between those levels, and how far they’re willing to go to max out that fame. Three months later, I finally met Bridges in a quiet room in the Spotify House, where he was performing later that afternoon. One more level climbed. Is this your first SXSW? This is my first time as a performer. The first time I was going to Austin — it’s funny — I got my tires slashed. So … just hoping this time is different. That’s great — you got that bad luck out of the way. How do you figure out what shows to pick? Were you taking any gigs you got, or is it selective? Nah. It was selective. We had a lot of offers. I loved the way they worked it out with what we picked. Excited about this first [show], at the Spotify House, it’s great. Your style seems to draw from a lot of people. Who would you call inspirations? My favorite soul musician is definitely Bobby Womack. I pull from cats like Van Morrison to Neil Young, a lot of what I do — of course there’s the obvious older soul — but a lot of what I am now came from the musicians in my community. Being around great songwriters and singers. It just really helped me to aspire to be a better performer. The performance aspect that I really take from is definitely Sam Cooke, his live record, Live at the Harlem Square Club, 1963. That’s a very good record. Yeah. And of course I can’t live up to it. But, you know, I came from a very shy place. So for me to be onstage in front of all these people, it’s all part of me growing, trying to get everything out. SXSW is a milestone moment. What’s it like being in the middle of it? Has it affected the way you live at all? It’s insane. All of this has moved really fast. I started playing guitar and writing songs about four years ago. And it’s like, I recorded a song with Austin Jenkins and the fellas. I didn’t expect it to blow up. And it’s like, Damn … I’m not ready. But it just drives me to be as professional as I can. And make sure that my lifestyle and shows reflect positivity. I know it’s kind of awkward to talk about in the moment, but it must be crazy, having it happen so fast. It’s a good thing to have a team around me. They’re all professionals. I just need to make sure I show up. And hopefully I’m sounding good on the mic and doing a good job. I feed off of them and their energy. It’s all a crash course. As we exited the press room, I overheard that Bridges’s two-person crew was going in the same direction as me. 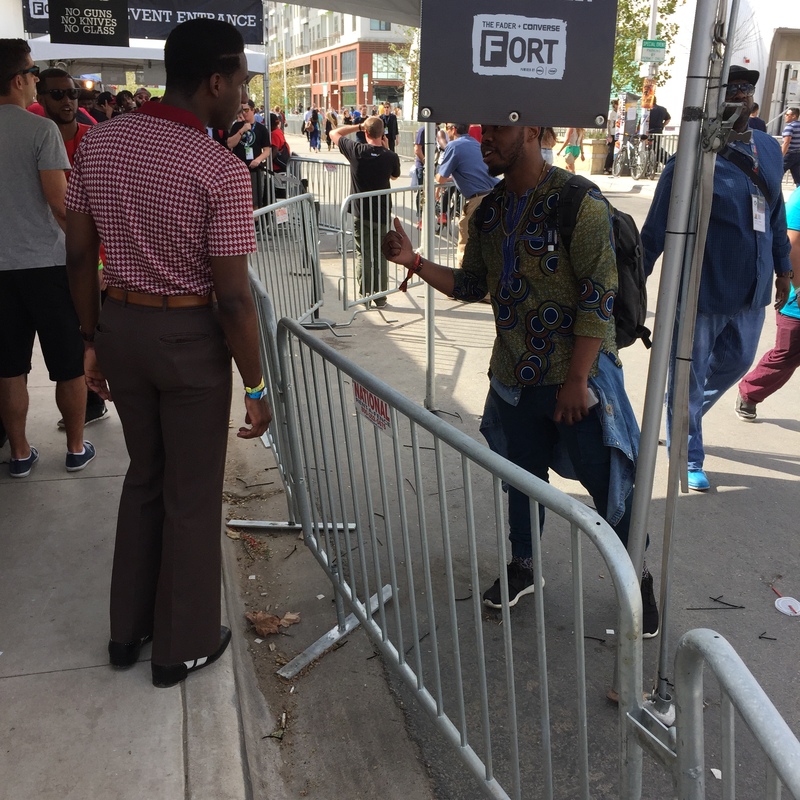 So I waited, and then we headed over to the FADER Fort, just a few blocks over. The walk to the FADER’s concert venue has a catwalk-like vibe to it. There’s a wide walkway, with a stationary line on one side filled with people waiting to enter the venue and watching everyone that walks by. It’s a great litmus test to see how hot you are. No one approached Bridges as he walked, but from that vantage point, it was apparent he was somebody. There’s every type of outfit down in Austin, but Bridges is way too comfortable in his atypical SXSW wardrobe — polished shoes, tucked bowling short, hemmed slacks — for this to be a festival costume. By the time we got to the front of the line, two people approached him wanting to talk. One made a quick pass, telling him that he liked his music. The second was a true fan and and began talking him up. Bridges was hiding in plain sight, but when one person approaches you, other people begin to watch and wonder no matter who you are. Witnessing the reality of celebrity unfold in real time can be a beautiful thing. But line buzz doesn’t also mean immediate entry. 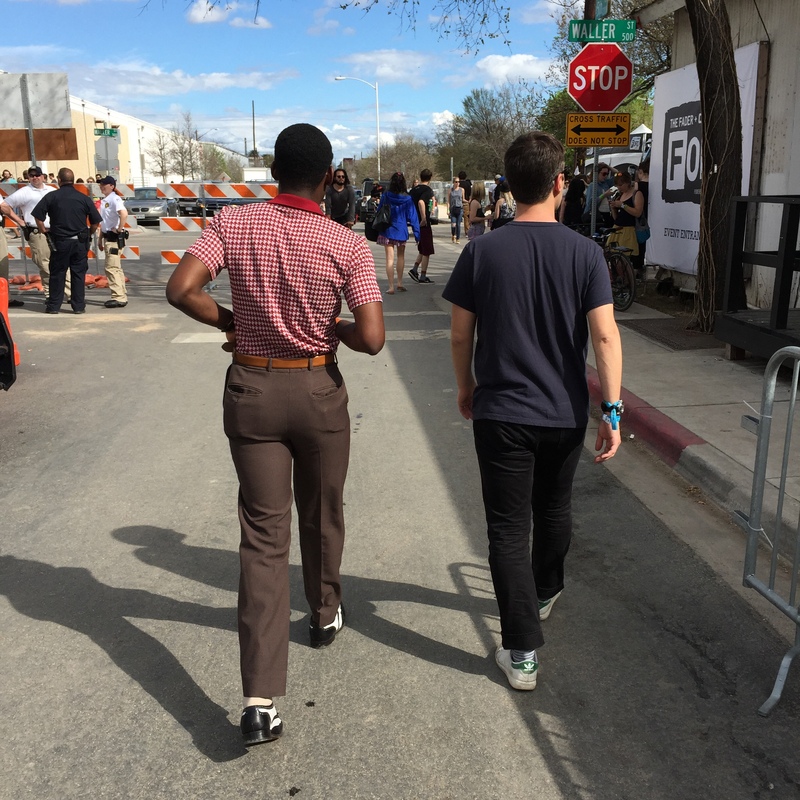 Team Leon was having a bit of an issue getting into the FADER Fort. Which was awkward for me, because I could have just walked in. (Because this wasn’t my first rodeo.) I waited for a few minutes, hoping to continue shadowing the budding star., but it quickly became clear that they wouldn’t slide right in. So I left Team Leon, gave them the hysterical “We’ll find each other inside,” and walked in. That was the last time I saw Leon Bridges. Next year, he’ll be able to walk right in. Maybe he’ll even be escorted in. But there’s also nothing wrong with an early-fame heat check. Fame is relative.